Downloadable flyer for SVF’s StringFest March 21 at DROMNYC. 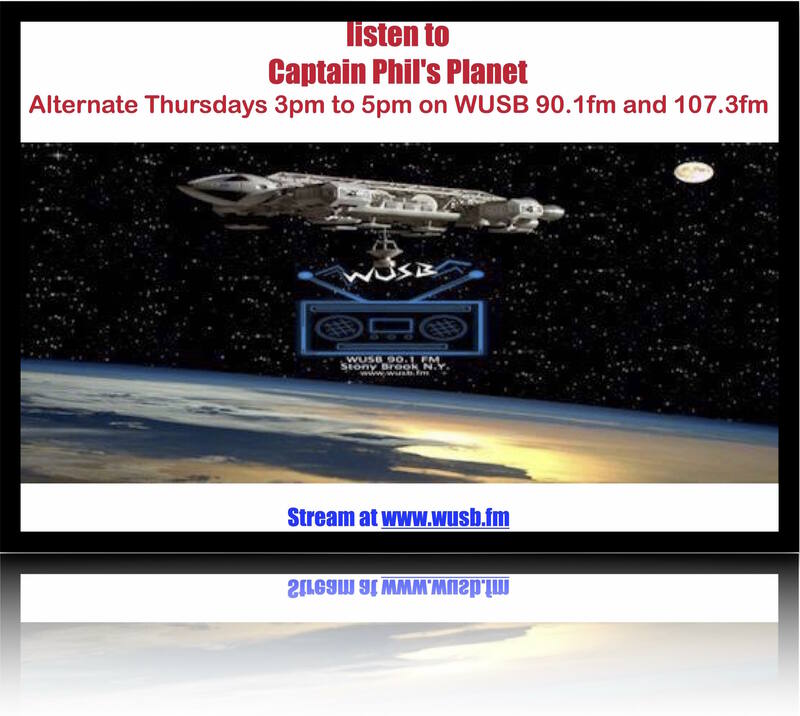 Thank you, Captain Phil, for sponsoring SonicVoyageFest! Olive's on November 30, 2018. 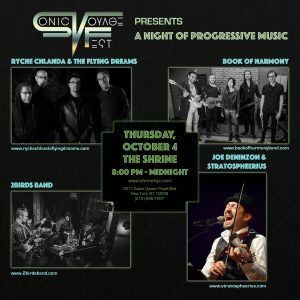 Downloadable flyer of SonicVoyageFest on October 4 at the Shrine, in Harlem, NY. Show starts at 8 PM. 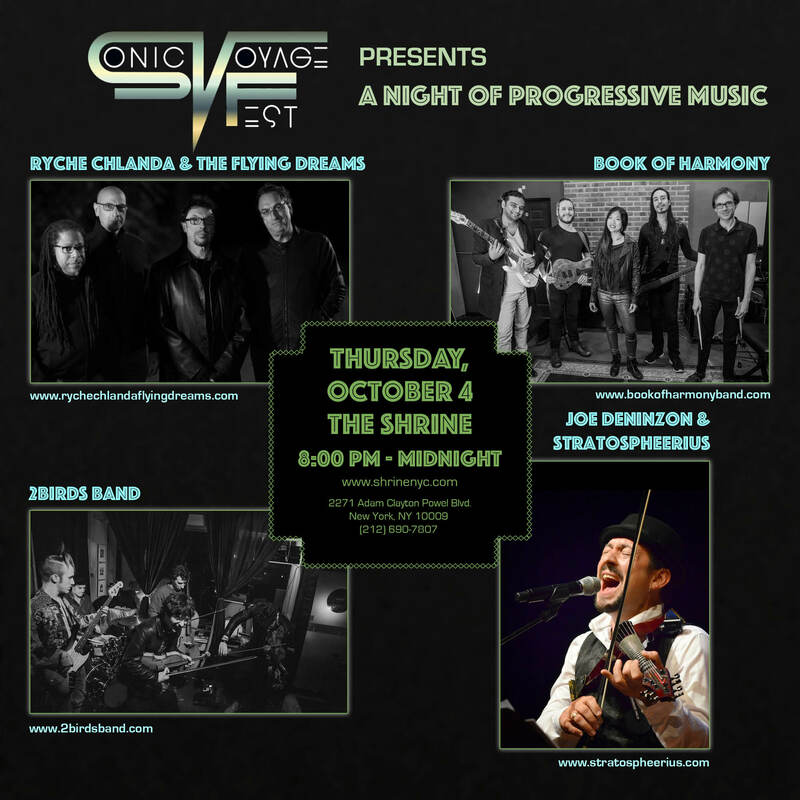 Downloadable flyer of SonicVoyageFest on October 4 at the Shrine, in Harlem, NY. 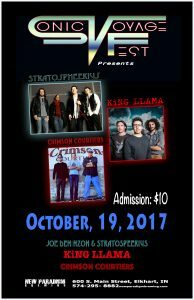 Here’s a downloadable flyer for October 19 in Elkhart, IN. 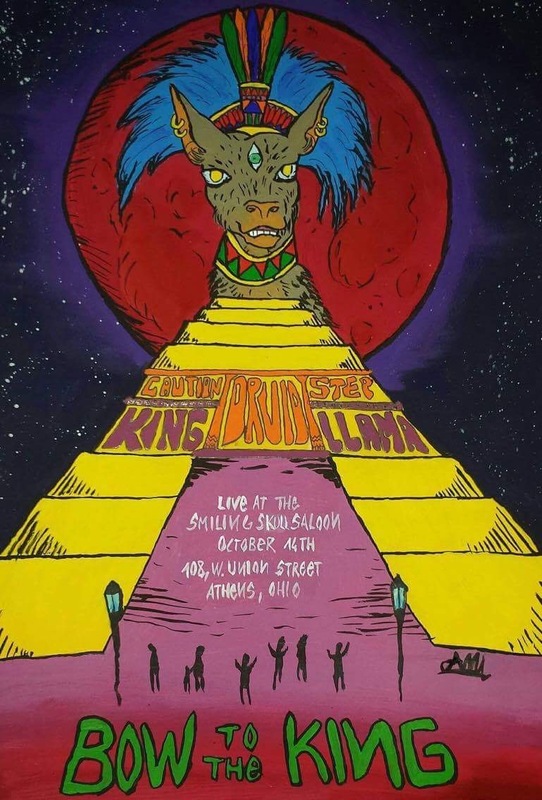 Created by Crimson Courtiers’ Dean Madonna, the Fest also features King Llama and Joe Deninzon. 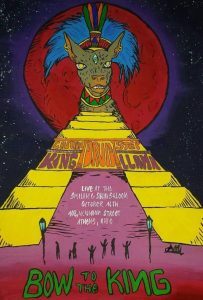 King Llama and friends rocking Ohio and Illinois mid October. 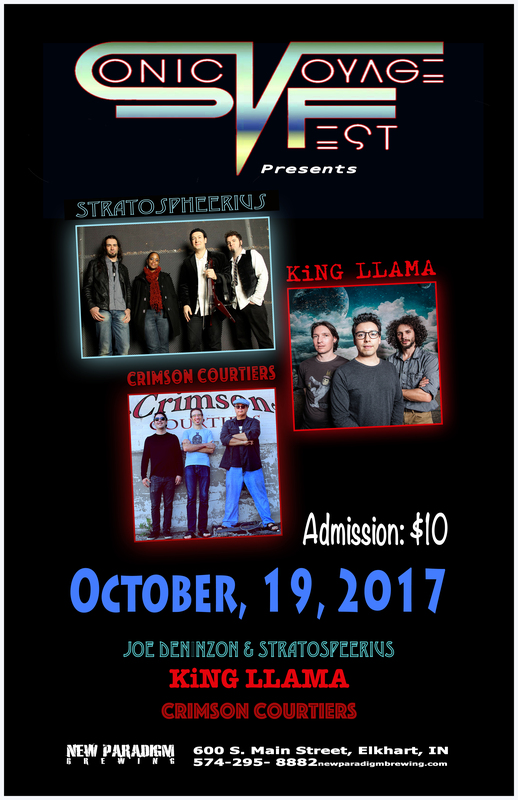 Joe Deninzon & Stratospheerius, Crimson Courier will be rocking’ the Elkhart, and King Llama, Joe & Stratospheerius, plus White Bush Unicorn in Madison, WI on October 20. 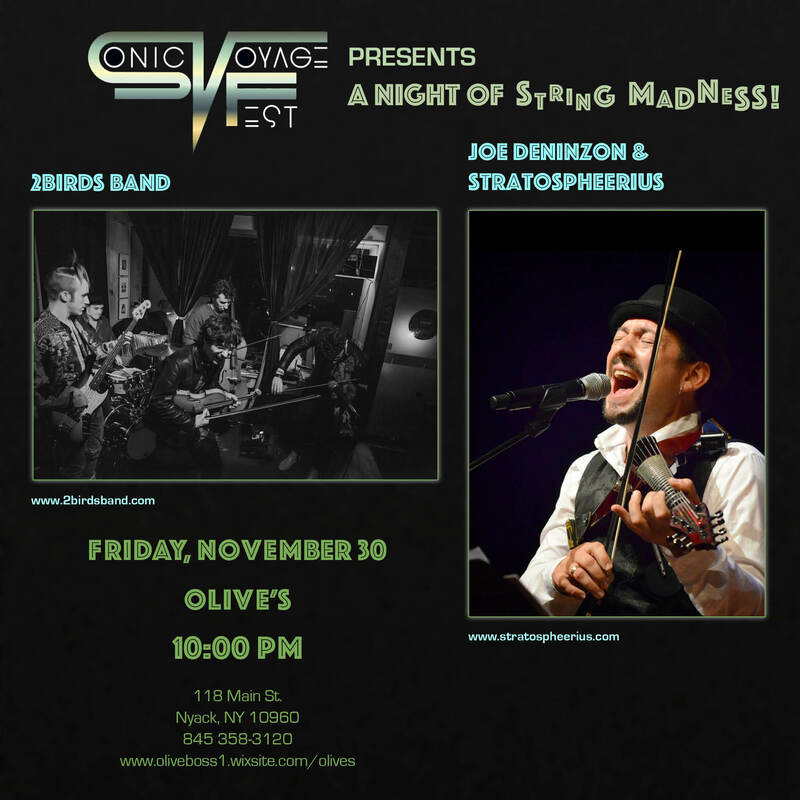 Joe Deninzon & Stratospheerius, Ad Astra, Van Davis at the Shrine, in New York City, on October 31. 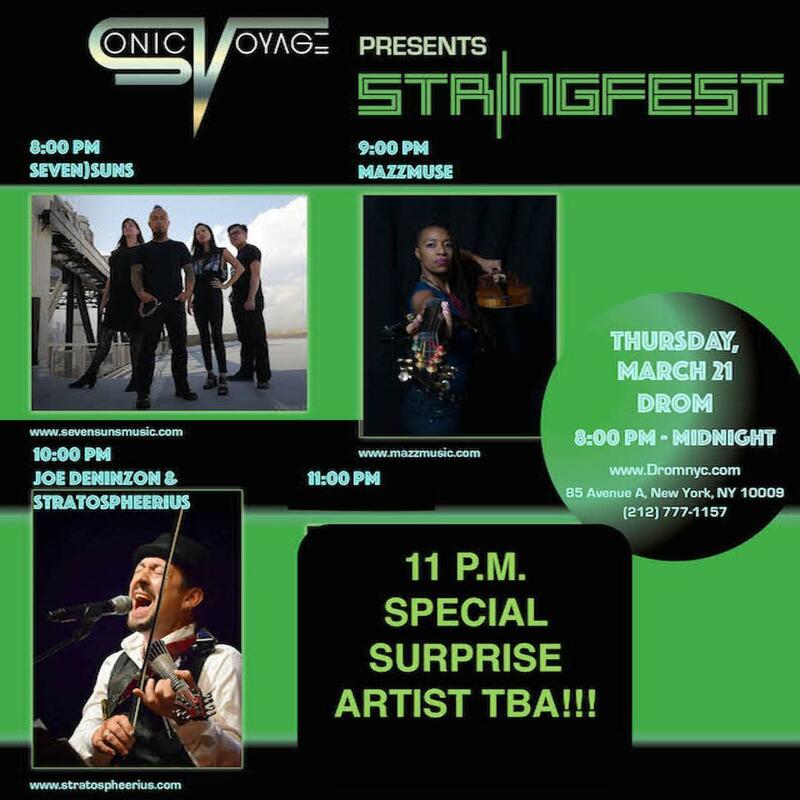 Joe Deninzon & Stratospheerius, Ego at Wilbert’s, in Cleveland, OH on November 11. 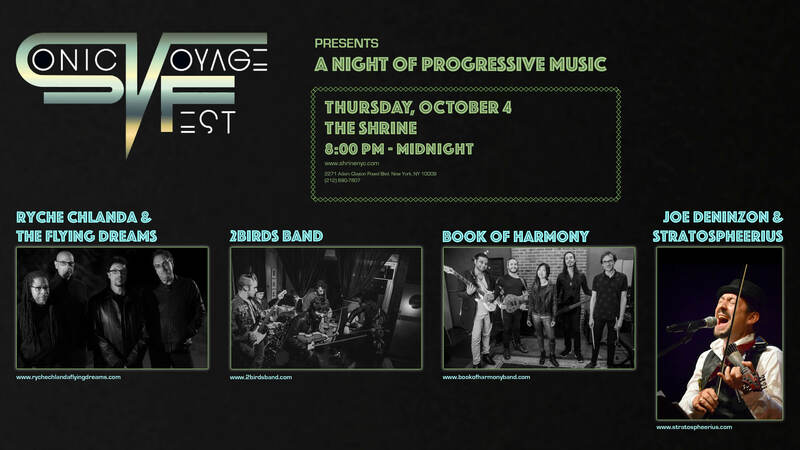 Spend an evening in an intimate setting with your favorite prog musicians. 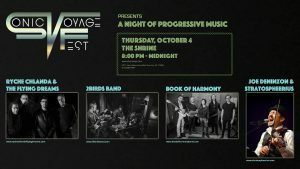 Sonic Voyage Presents is planning two special Midwest shows with King Llama in small towns: Peoria, IL and Athens, OH this October, and one with Joe Deninzon & Stratospheerius in Binghamton, NY this November 10.